It is only by grounding our awareness in the living sensation of our bodies that the “I Am, ” our real presence, can awaken. Our bodies carry and express the physical, emotional, and spiritual impact of our experience. By working with the body, we can relieve physical tension, lessen chronic stress, and promote wholeness. Our integrative body-centered therapies include a variety of modalities to address a range of intentions. 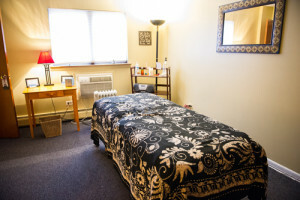 To work with any of our body-centered therapists, please click here or call the Claret Center at 773-643-6259. Visit our events page to learn find ongoing and occasional classes and workshops featuring breath work, conscious body movement, body-mind-spirit integration, and other body-centered practices.